Hello friends!! I am here with a new tag. I am entering this to the current “Tag You’re It” challenge. I used this beautiful patterned paper which has this tiny polka dots on the background. I added Simon Says Stamps “Beautiful Flowers” set images which I colored using Polychromos pencils. Added the sentiment from the same set and lastly, added some gem stones. Love these color combinations together and the shimmer on the background. 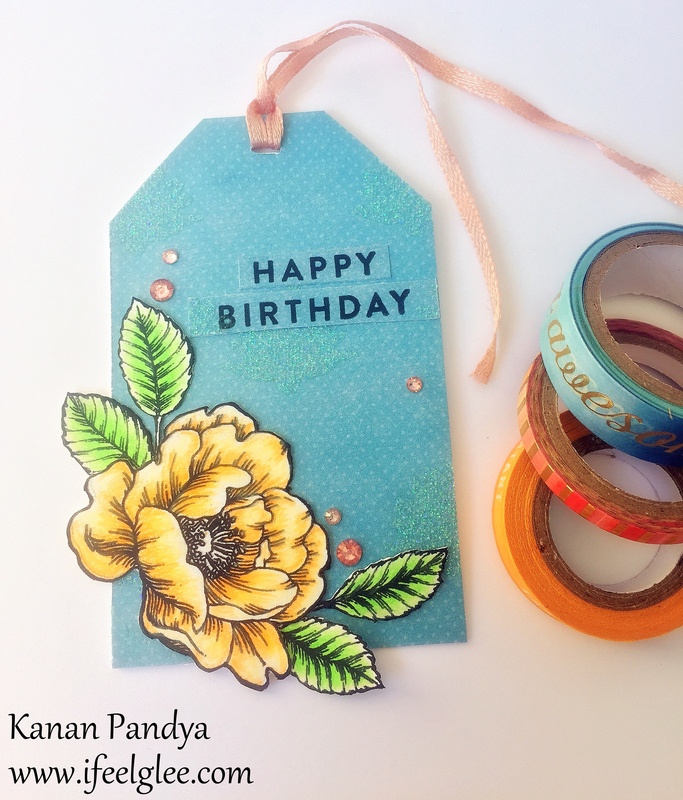 Hope you will like this tag too. Previous Previous post: Love You! !